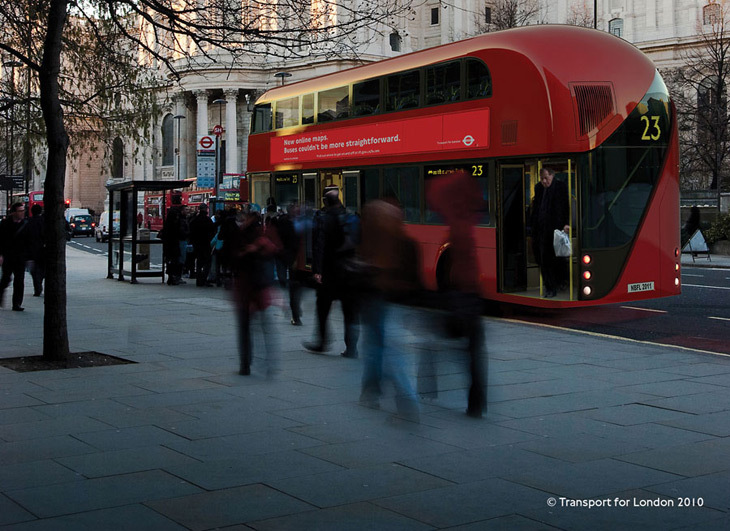 Whatever the critics say I find this new bus design awesome. It’s beautifully done and indeed iconic. 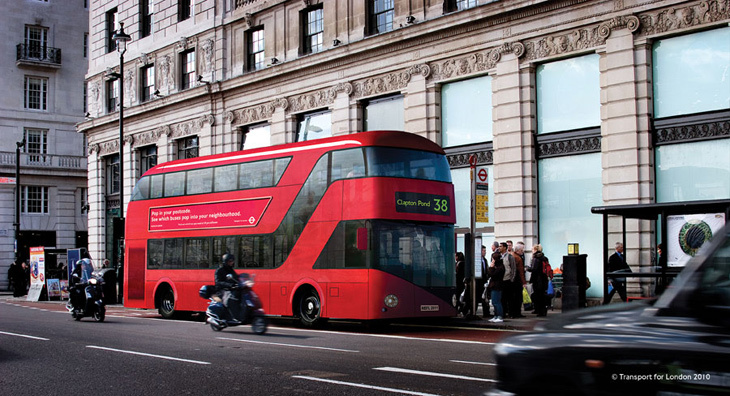 The New Bus for London is inspired by the much-loved Routemaster and will use the latest green technology when it launches in 2012. 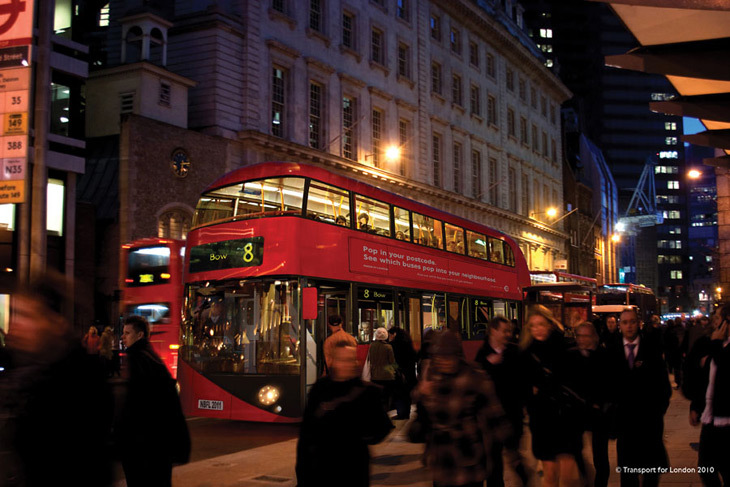 The New Bus for London will meet London Buses’ requirements for vehicles in public service in London, including high standards of accessibility, safety and emissions abatement. In addition, it will be more durable, more fuel efficient and better ventilated. The bus will incorporate a double-deck and a platform at the rear near-side corner, so passengers will be able to get on and off easily.